Today’s resource comes from a young designer living in Germany, Ivo Mynttinen. 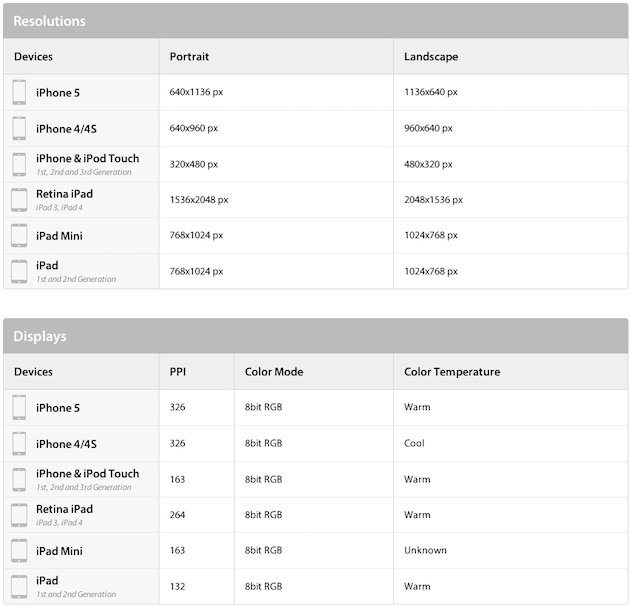 It is a well documented cheat sheet for everything iOS: resolution, PPI, icon and common UI elements sizes. The devices included in the list are: iPhone (4/4S/5), iPhone and iPod Touch (1/2/3), iPad (1/2), iPad Retina (3/4) and iPad Mini.